Besides offering a killer product, to what do you attribute the rapid expansion of Nextdoor into new communities? We believe that the key to building a successful product is to create something that solves real problems for users. If you can do that well, then your users become your advocates and tell others about the service. We have been fortunate to experience rapid growth because people are spreading the word about how Nextdoor has made a real difference in their lives. Using Nextdoor, neighbors finally have a way to easily connect and communicate with those living around them. There are so many ways neighbors can help each other. One of the most important is banding together to create safer neighborhoods. Our members use Nextdoor to facilitate virtual neighborhood watches in an effort to keep each other informed and help reduce local crime. We’re also seeing members use Nextdoor to prepare for and support each other during natural disasters, like Hurricane Sandy or Superstorm Nemo. And Nextdoor helps people share resources to save money – whether that’s borrowing a snowblower, sharing a nanny or carpooling to work. Nextdoor is all about solving real problems, and that’s how we’re gaining adoption. How does $21.6M change Nextdoor (daily operations, vision, strategy, etc.) What difference do you anticipate the partnerships with Greylock and David Sze having on your company’s future? 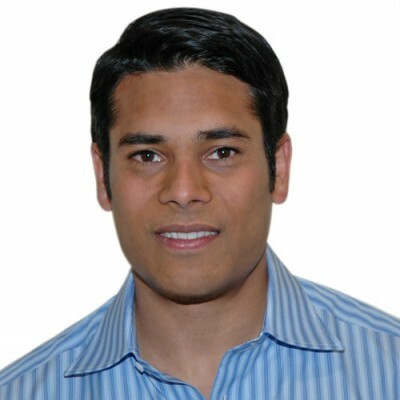 Our primary reason for doing this round of financing was to get David Sze from Greylock more involved with the company. In addition to investing $15 million, he has joined our Board of Directors. Nextdoor sits at the intersection of two important trends – social and local. It’s invaluable for us to have great investors with deep expertise in these two areas. Bill Gurley from Benchmark Capital has specific expertise in local as the original investor in Uber, Yelp and Opentable. And now David brings expertise in social as the original investor in LinkedIn and an early investor in Facebook. We’re fortunate to have a stellar team of investors and board members. They bring valuable expertise and a long-term commitment to help us build the company and create an enduring platform. Honestly, how do you feel after the recent funding? Thrilled? Super-motivated? Unable to sleep? All of that and more. We’ve raised more than $40M over the last nine months. In addition to having Benchmark and Greylock as investors, we have the backing of Jeff Bezos and Google Ventures. It’s an incredible opportunity and responsibility that we’re fortunate to have. What’s the next benchmark for success you’ll set your sights on? We’re completely focused on member adoption – we want to bring the Nextdoor experience to neighborhoods all over the country, and eventually the world. In 2013, we would like to double our number of active neighborhoods and also expand to several international countries. Nextdoor is a private social network for the neighborhood. 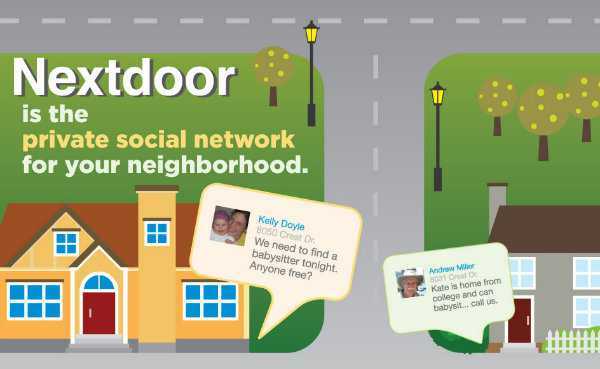 Using Nextdoor’s free online platform, neighbors create private neighborhood websites where they get to know one another and ask questions, exchange local advice and recommendations and organize virtual neighborhood watches to reduce crime.